Landbell Group is kicking off 2019 by sharing successful innovations in the circular economy, and showing customers how they can make their business models even more sustainable in the New Year. One of these success stories is the reusable shipping bag from Finnish startup Repack, the winner of 2014’s Green Alley Award. Through the RePack service, online retailers can easily offer their customers a sustainable packaging alternative, including a points system for customer loyalty. “We started 2018 with seven operational countries and finished with 14. It was a good year in terms of scalability. In 2018 we were able to gain several new customers, including “Addnature” - the largest outdoor retailer in the Nordic countries. Addnature is our biggest customer so far, so we are super excited and really looking forward to the future,” said CEO Jonne Hellgren. The company attributes its success to the change in business and public awareness surrounding packaging and waste. RePack has started its expansion into the American market, and expects conclusive results this year. Goals for 2019 include increasing the number of RePack deliveries to 10,000 per month, attracting 10 new customers in the US market, establishing alternative channels for returning and collecting the shipping bags, and developing new protective packaging. On 13 and 14 February, Landbell Group will attend the Circular Economy - Business & Policy-Makers Workshops hosted by CSR Europe, the leading European business network for corporate social responsibility and a partner of Landbell Group on the EU-Horizon2020 project, “R2π: - tRansition from linear 2 circular”. The first workshop will address business-oriented topics, with emphasis on sustainability and the circular economy, and the second day of workshops will focus primarily on policy. Thomas Fischer, Landbell Group Head of Market Intelligence & Governmental Affairs, will present the project’s recommended basic policy package for the plastics sector during the second day of the event. The aim of the event is to bring together circular economy experts to explore new opportunities for collaboration and to discover sector-related insights in key areas. Starting 1 January 2019, Landbell Group has undergone new organisational changes. Ellen Hitschler has been appointed as the new general manager of DS Entsorgungs- und Dienstleistungs- GmbH which offers facility waste management and transport packaging services within Landbell Group. Udo Knopf and Dirk Staubach will also be joined by Michael Gormann as third Managing Director of Landbell GmbH which runs a packaging scheme in Germany. Field sales and back-office sales teams will report to Gormann, who also remains Managing Director of European Recycling Platform (ERP) in Germany. Please see the interview with Michael Gormann below. In December 2018, Landbell Group company, European Recycling Platform (ERP), received authorization to operate as an Approved Battery Exporter (ABE) in the UK. ERP now operates a complete European network for the transportation of waste batteries in the EU. A European supply chain allows ERP to select the best battery recycling facilities in Europe for each battery chemistry, and ERP can now manage all transnational shipments of waste in compliance with the relevant waste regulations, specifically the Basel Convention. Each chemical composition in mixed portable batteries has its own specialized recycling process, which is carried out by a small number of battery recycling companies in Europe. Given the specific nature of this market, the successful recycling of all types of batteries requires a multinational network of specialized battery recyclers to ensure each product is treated effectively. As Managing Director of Landbell GmbH, I am responsible for the sales, distribution and marketing of Landbell’s packaging scheme. Moreover, I am also responsible for the German business of the European Recycling Platform (ERP). ERP takes care of compliance with Germany’s Waste Electrical and Electronic Equipment Act (ElektroG) for manufacturers and distributors. ERP also operates one of the four approved take-back schemes for waste portable batteries in Germany. As Managing Director, I am at the heart of the day-to-day business. I plan our sales strategy and actively implement it. This is one of the most important tasks in view of the constantly changing market and its challenges. I joined ERP in 2013. I started as provisional Managing Director of ERP Austria and was also responsible for building up sales and marketing at ERP Germany. 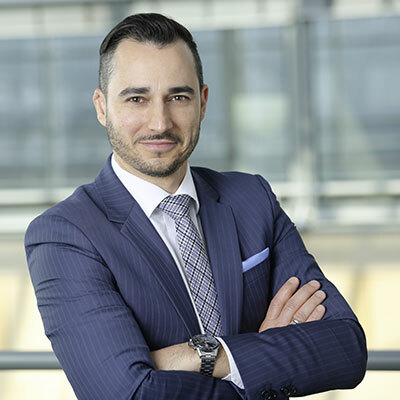 At the beginning of 2014, I became Managing Director of ERP Germany and on 1 January 2019 was appointed Managing Director for Sales and Marketing at Landbell GmbH’s packaging scheme. I separate my waste carefully and buy consciously, i.e. I try to choose environmentally friendly, energy-saving products. On 1st January 2019, the new packaging law (“Verpackungsgesetz“) in Germany came into effect. One of its main provisions is the introduction of a new single registration authority for packaging producers, the “Zentrale Stelle Verpackungsregister” which was introduced to provide more transparency in the packaging sector, and curb free-riding by non-registered packaging producers. So far, the register is proving to be a success. As of 14 January, 130,000 packaging producers have registered, approximately 70,000 more than prior to the introduction of the new packaging law. Other notable provisions are extended target quotas for material recycling and a general streamlining towards a more sustainable, competitive system for waste disposal and recycling. Landbell Group is helping companies meet the new standards set out by the packaging law. On 1 January 2019, manufacturers of home appliances introduced a new harmonised label for their products to improve recycling. The labels will be found on products such as washing machines, dryers and refrigerators to indicate if these appliances contain fluorinated gases or vacuum insulation panels. The trade association Home Appliance Europe (APPLiA) issued a statement explaining that manufacturers want to use their technical knowledge to help recyclers and promote a more circular economy. Negotiators from the European Parliament and the former Austrian Council presidency have reached a provisional agreement on the directive on single-use plastics (SUP). The agreement has already been approved by the permanent representatives of the Member States, as well as the responsible parliamentary committee, and will now be submitted to the Parliament’s plenary before being officially adopted by the Council in March. What is the SUP directive? The SUP directive is a “lex specialis” specifically addressing the 10 most commonly found items littering European beaches, along with fishing gear. The directive requires Member States to set national targets/programs to reduce the consumption of these items and prohibit the sale of any products made from oxo-degradable plastics and certain single-use plastic products. Moreover, it also requires Member States to set up EPR schemes for certain single-use plastic products. The EPR schemes would cover the costs of awareness raising campaigns and cleaning up litter from specific items. The directive would also set ambitious recycling targets by weight for beverage bottles: 77% by 2025 and 90% by 2029. At the beginning of December 2018, the European Commission launched the Circular Plastics Alliance to support the European market for recycled plastics by facilitating cooperation between key industry stakeholders and encouraging more ambitious action towards a circular economy. The Commission will now invite stakeholders to join the first meeting, which will be organised as part of the EU Industry Days on 5 February 2019. On 18 December 2018, the Department for Environment, Food and Rural Affairs (DEFRA) in the UK released its long awaited resource and waste strategy. The strategy outlines how the UK will tackle challenges imposed by waste in the future and identifies packaging as an immediate priority that needs to be addressed. In order to do so, the UK’s strategy includes measures similar to those proposed in the EU’s plastic strategy. The strategy blueprint also calls for consultation with experts and businesses to find the best application of its ideas in the coming months and years before all measures come into force by 2023. The EU Committee of Regions (CoR) has responded to the European Commission’s plastics strategy, by stating that hazardous substances should be “completely removed” from plastic products by 2025 to ensure the recyclability of all plastic products by that time. The CoR has implored the European Commission and Member States to explore options to increase funding for projects related to the circular economy, in particular for plastics. A communication from the EU executive covering the interface between chemical, product and waste legislation is expected in January. The EU’s legislative process on establishing new regulations for persistent organic pollutants (POPs) continues into the New Year. Despite all efforts to finalise the process before Christmas, negotiators from the European Parliament and the former Austrian Council presidency were unable to reach a political agreement. The trialogue discussions will now continue later this month under the new Romanian presidency. The outstanding points for discussion concern the concentration limit for substances listed in annexes 4 and 5, as well as the instruments for their modification. The outcome of the trialogue negotiations is of particular interest to the recycling industry as recycling associations and companies like ERP argue that the concentration level of 10 parts per million for decaBDE and other brominated flame retardants proposed by the Parliament could put the whole recycling process for plastics from electronic waste at risk. As global waste disposal standards become more stringent, the use of effective waste management software to ensure compliance becomes ever more important. Software is vital for companies to reach their sustainability targets and comply with legal standards. Waste management software replaces archaic spreadsheets or paper-based reporting systems, cutting down the time and resources necessary to stay compliant. It also opens up new opportunities to pursue growth opportunities and combines essential services such as invoicing, contract management and workflow creation into one package. Circul8, from Landbell Group company, Prodigentia, offers a comprehensive solution for businesses with a particular focus on ensuring a positive return on investment. Prodigentia’s software is built to manage every step of the recycling process, and aims to improve efficiency, increase compliance and control, and reduce risks and costs per transaction. PlasticsEurope recently released its new analysis on plastic use and demand in 2018. The report called “Plastics – The Facts” includes interesting insights into how Europeans used plastic products, with extensive facts and figures to help understand the extent to which our society relies on these products. Throughout the EU, the plastics industry directly employs more than 1.5 million people, and generated a turnover of more than 355 billion euros in 2017. For the first time, BASF has made products using chemically recycled plastics, taking the first steps toward making such products widely available on the market. The process used by BASF unlocks the potential to make products from recycled plastic with a much higher level of quality and consistency than existing techniques. BASF’s Chemocline process uses oil produced from plastic waste, which is then heated to 850 degrees Celsius to break down the feedstock into usable materials for making new plastic products. The continued expansion of this exciting new process relies on the further development of technological and regulatory requirements in target markets. The mass adoption of chemically recycled plastic products could have far reaching effects for the sustainability of production. BASF’s developments are an exciting step in the right direction. The start of another year brings with it new resolutions, and new opportunities to improve the environment. One such goal many people share is working on our environmental footprint, most notably, by improving our recycling habits. Here are a few quick and easy tips to help you meet your New Year’s recycling resolutions. When cooking at home, use what you already have in your pantry: Food waste is a major problem, with Americans alone wasting 150,000 tons of food every day. Ensure your recyclables are empty, clean and dry before disposing of them. Emptying, cleaning and drying your recyclables will ensure that they are fit to be repurposed into new goods, rather than thrown into the garbage once they reach the facility. Say goodbye to single use plastics: do your bit to alleviate this problem by bringing your own bag to the grocery store, staying away from plastic utensils when possible, and using a reusable water bottle. Try these tips today and start your year off with a smaller carbon footprint!